"SWALIM Update" is a newsletter produced by SWALIM. The newsletter was previously issued quarterly but effective 2015, is now a triannual newsletter. "SWALIM Update" is used to keep our wide base of clients, drawn from local and international non-governmental organisations, government agencies, United Nations agencies, academic institutions, civil society and communities, abreast of the activities and accomplishments of the SWALIM project in the preceding period. 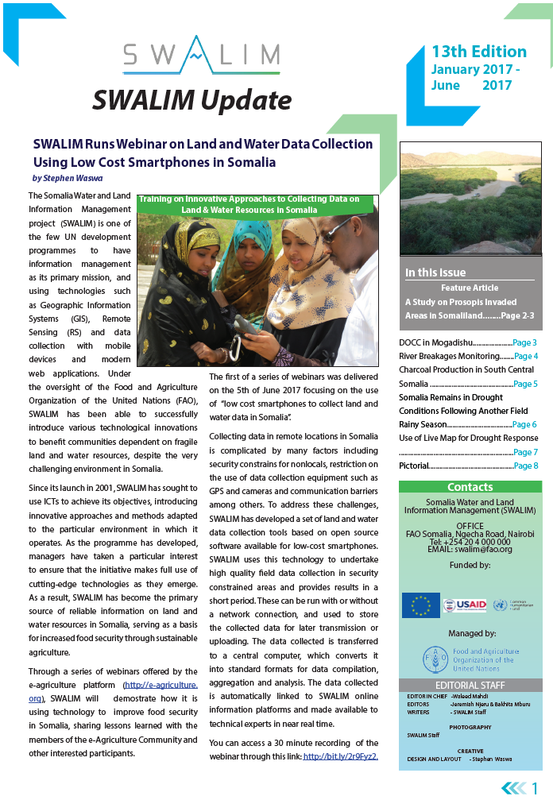 The newsletter summarises ongoing and completed activities in water, land, remote sensing, information management and capacity building whose results are expected to further enhance available data and information on the state of, challenges faced and opportunities available for sustainable water and land resource management in Somalia. Should you wish to receive the newsletter, please fill in the subscription form. You can also search for previous issues of the newsletter in the library. 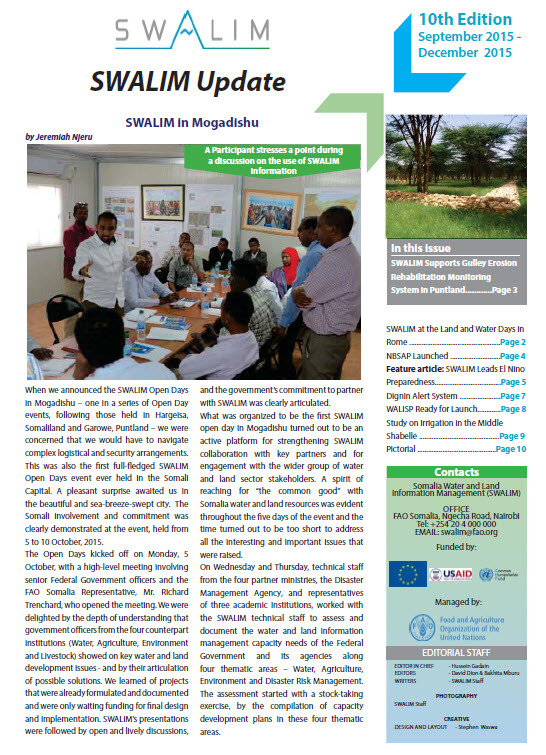 We are pleased to share Issue 11 of our newsletter “SWALIM Update” for the period January 2016 – April 2016. We are pleased to share Issue 10 of our newsletter “SWALIM Update” for the period September 2015 – December 2015.